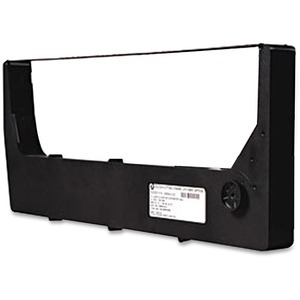 Fabric ribbon cartridge is designed for use with TallyGenicom 6600 and 6800, including 1,000, 1,500 and 2,000 line-per-minute models, for text and bar-code applications. Precision pairing between printer and ribbon allows easy installation and trouble-free use. Each extended-life cartridge yields approximately 30,000 pages.